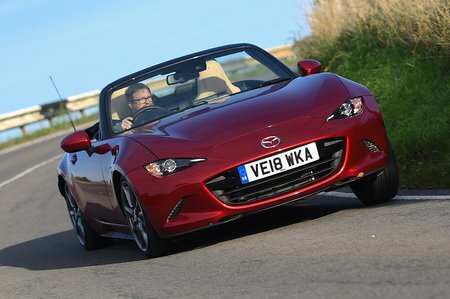 Mazda MX-5 SE-L Nav+ Review and Deals 2019 | What Car? This trim adds the 7.0in infotainment system with Bluetooth, a DAB radio, Apple CarPlay, Android Auto and an extra couple of speakers. You also get climate control, cruise control, heated seats, black wheels and the option of the 2.0-litre engine. If you do pick the more powerful engine, you gain bigger 17in wheels and a limited-slip differential to boost traction.